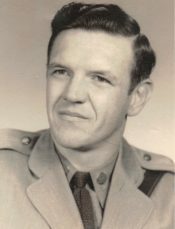 Ian William Adam Smith, 82, passed away peacefully at home on October 26, 2018. Ian will best be remembered as a loving husband, father and grandfather. Ian retired in 1980 as a Zone Sargent from the New York State Police and from the Federal Government Department of Transportation as the Assistant Director in 2001 for the state of New York. Ian is survived by his wife of 55 years, Yvonne “Sue”; children, Cynthia O’Shea, Lisa Davis (Willie) and Karen Smith; grandchildren, Adrienne O’Shea, Michael O’Shea, Kevin O’Shea (Caitlin), Molly Davis and Seth Davis. A visitation will be held at Pensacola Memorial Gardens Funeral Home on Friday, November 2, 2018 from 5pm until 7pm with a graveside service on Saturday, November 3, 2018 at 11am at Pensacola Memorial Gardens. A memorial service and celebration of life will be held immediately following the graveside service at Northminister Presbyterian Church. In lieu of flowers, all donations may be sent to Northminister Presbyterian Church. My thoughts and prayers are with the whole family. Uncle Ian was a wonderful man and he will be missed. My love to all. Ian was quite a character. Whether it be many words on rare occasion or a few words he was always with a smile and a hint of a laugh. Prayers for everyone as he enjoys returning home. Thoughts and prayers with you and your family. I had the pleasure of knowing and working with Ian for many years. I will always remember his pleasant personality and his positive attitude. My condolences to his family and friends. Such sadness in my heart as my close friends lays her husband to rest.He was such a loving person.He will be missed by many.May God keep Him at Peace, and bring Peace to his wife who took such great care of him.SINCERELY,Sandra & Jay.